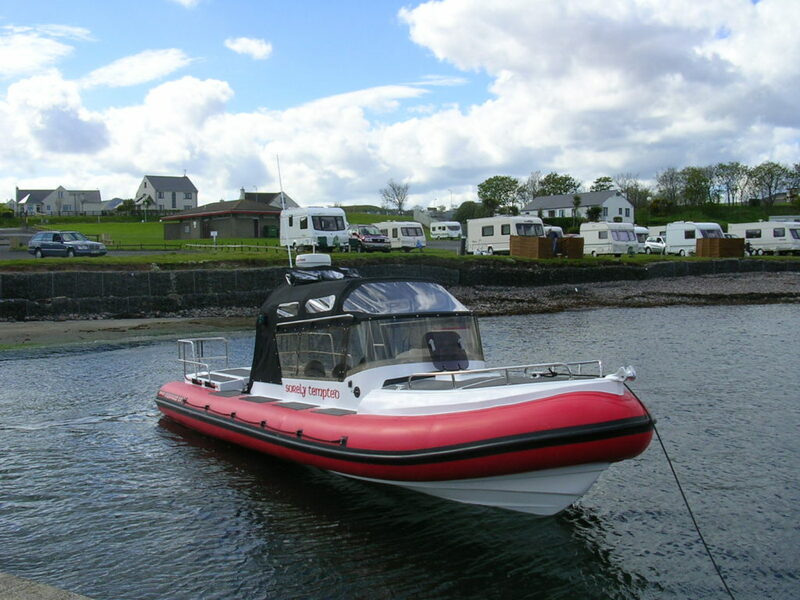 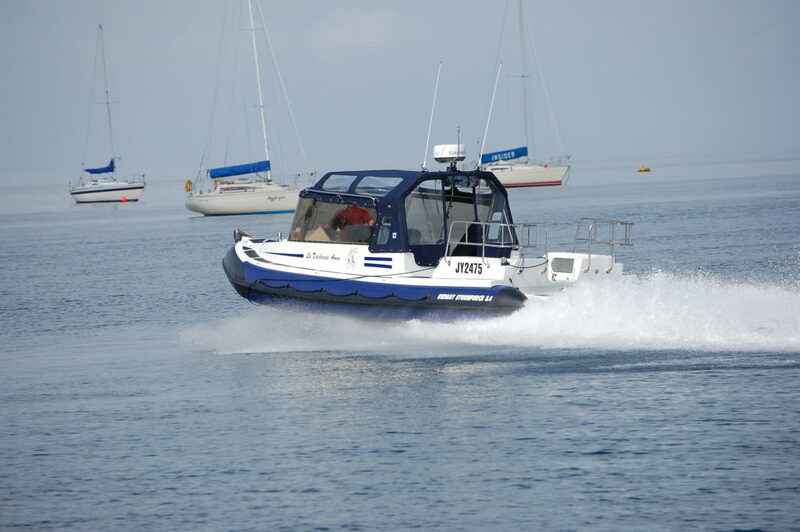 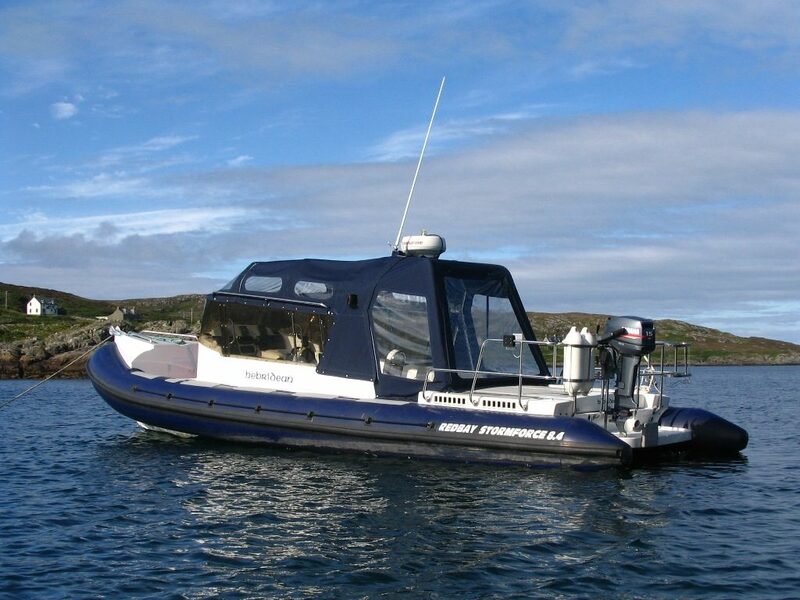 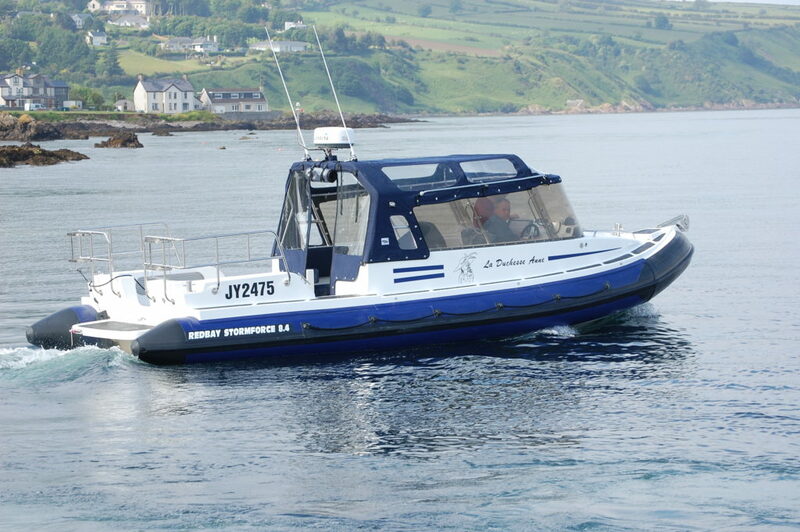 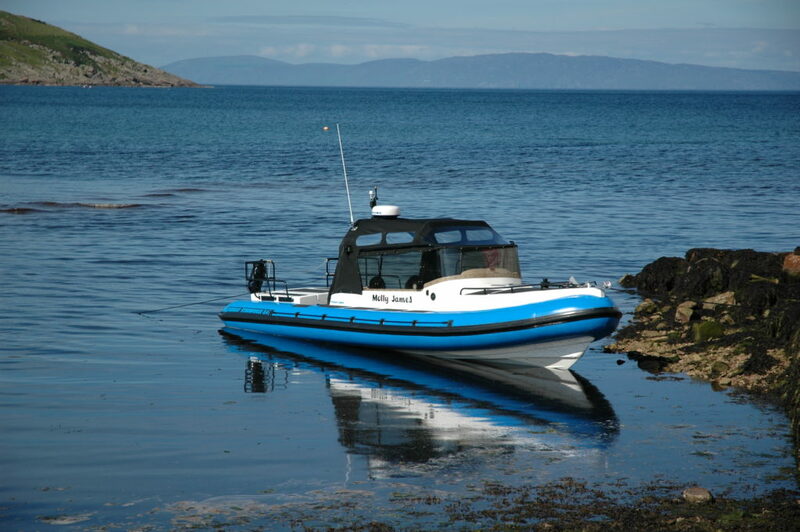 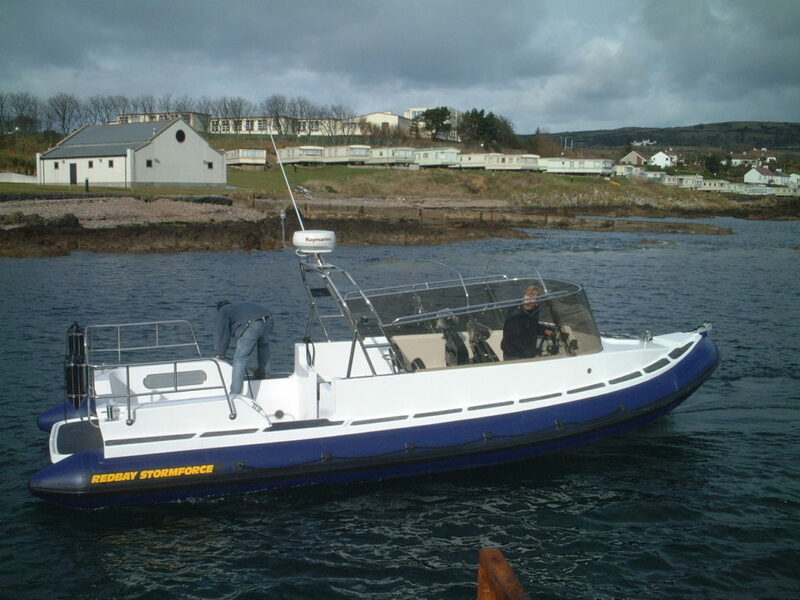 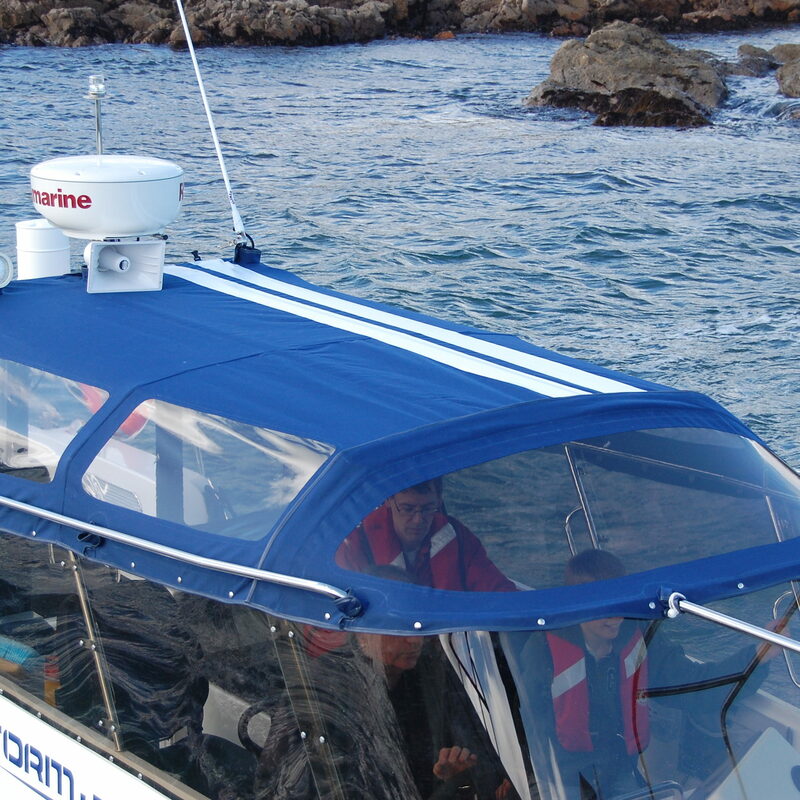 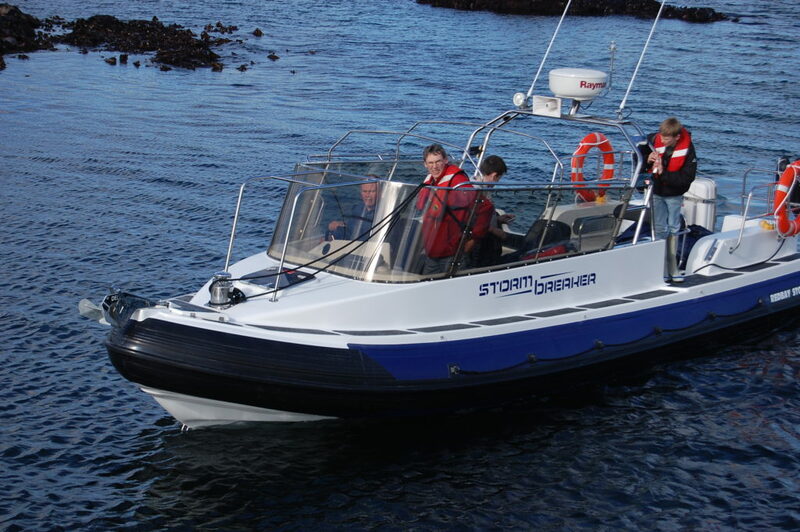 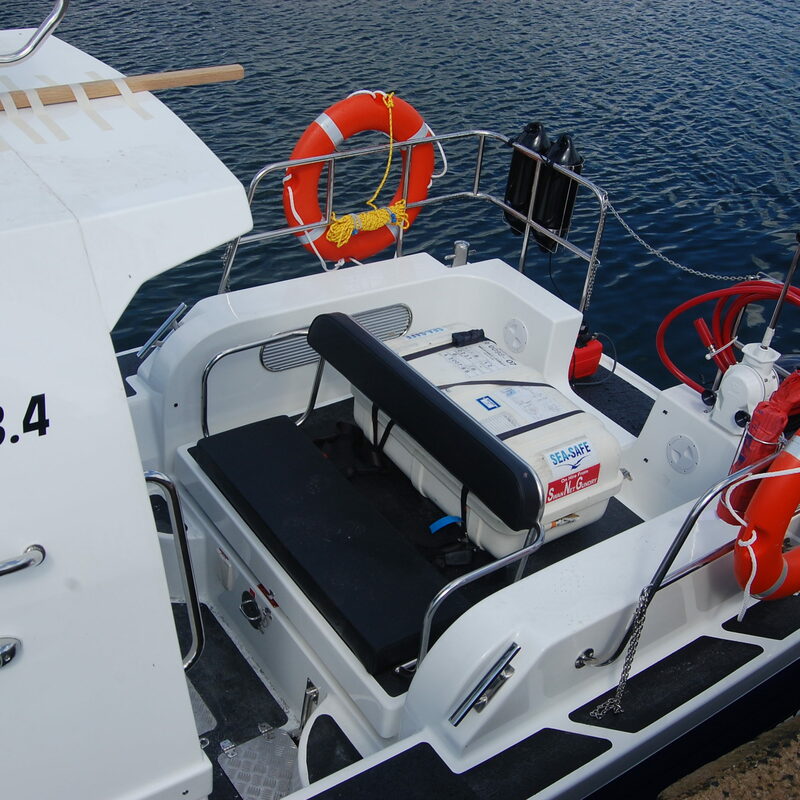 The Redbay Stormforce 8.4 Canopy Mark II has been developed from the Expedition Hardtop version and features the same hull and deck moulding as the Expedition, but has a Lexan Wrap Around screen and removable canopy. 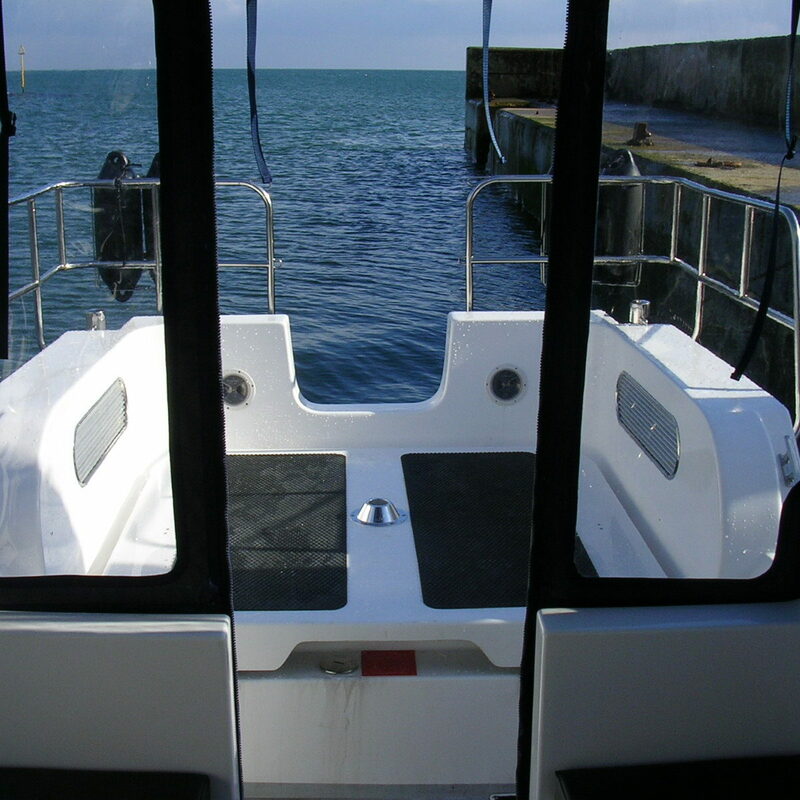 The canopy version retains the same excellent safety and comfort values, but has the flexibility of open-air cruising when the weather permits, along with full protection when it doesn’t. 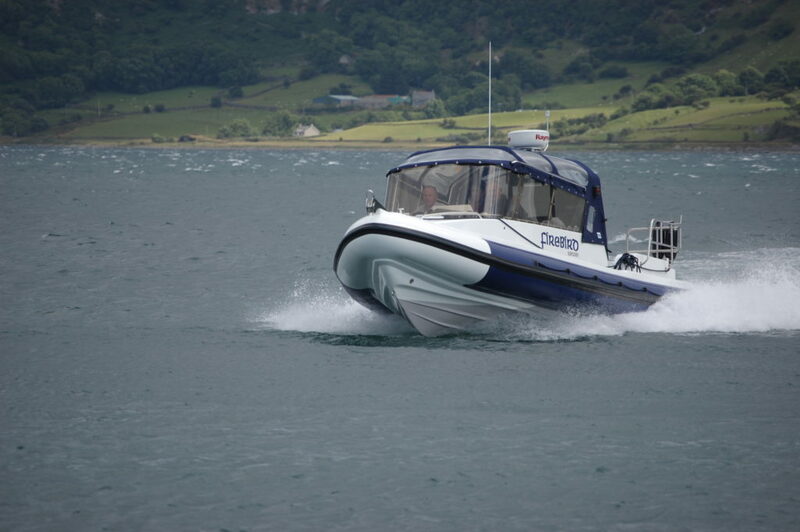 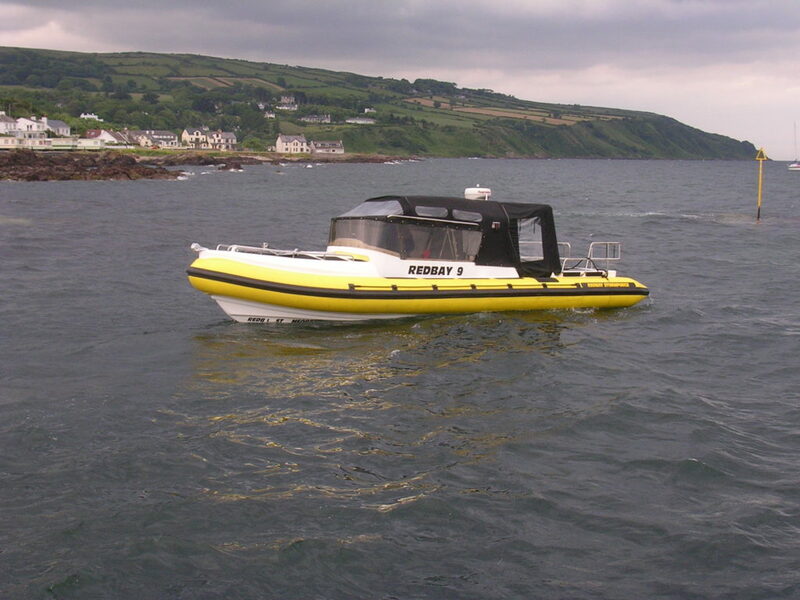 The Redbay Stormforce 8.4 was originally developed from the 7.4 model for the RNLI. 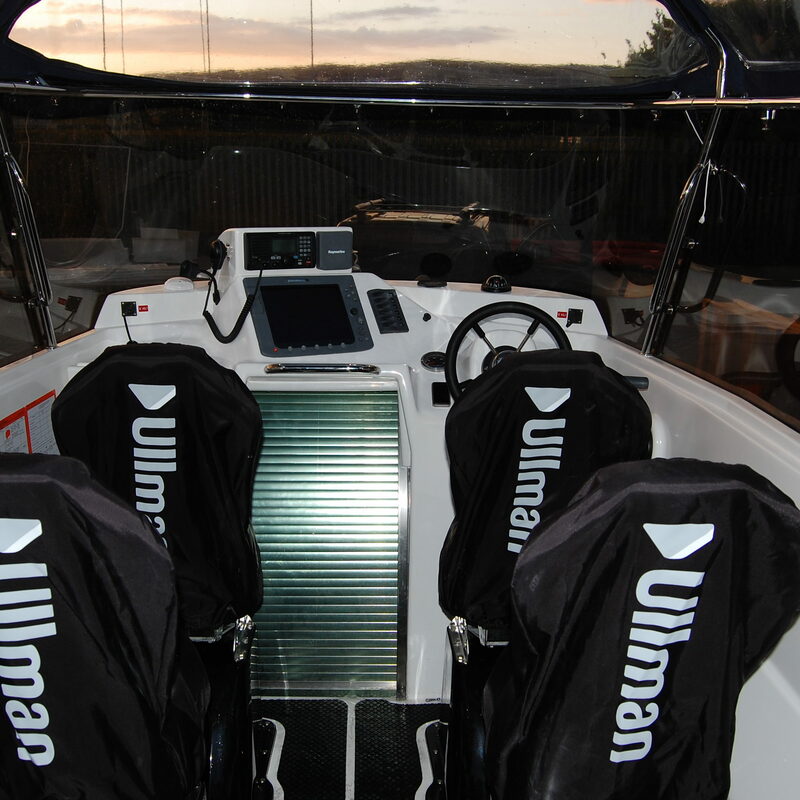 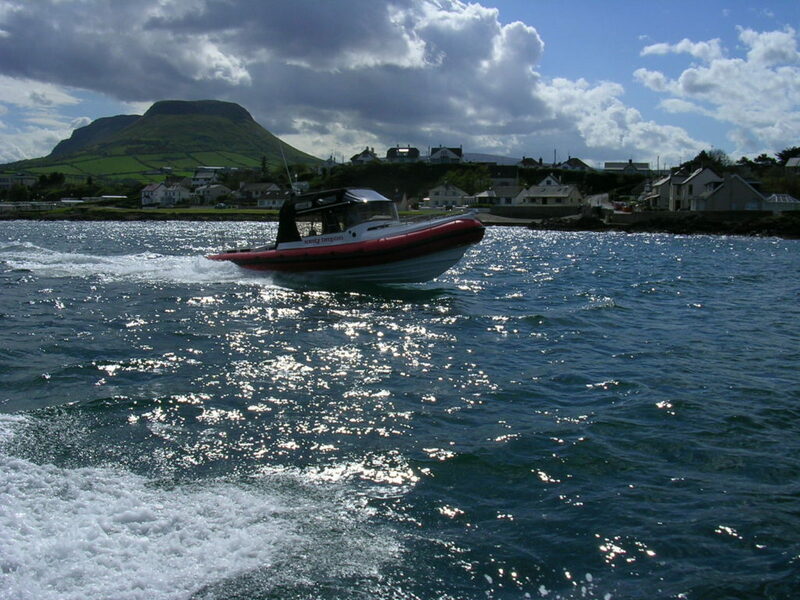 The 8.4 is widely regarded as having exceptional performance in offshore conditions. 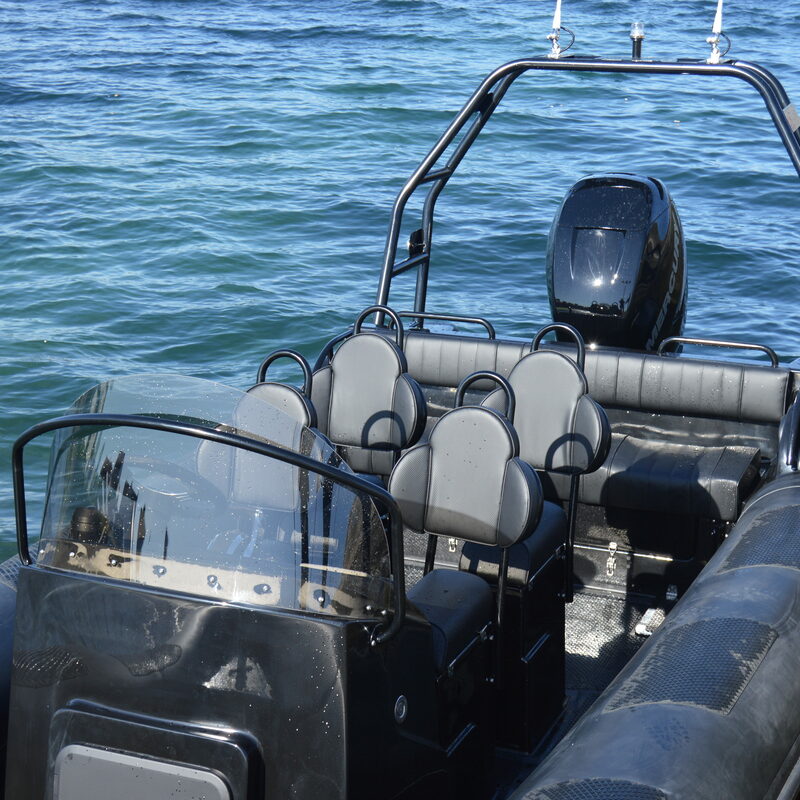 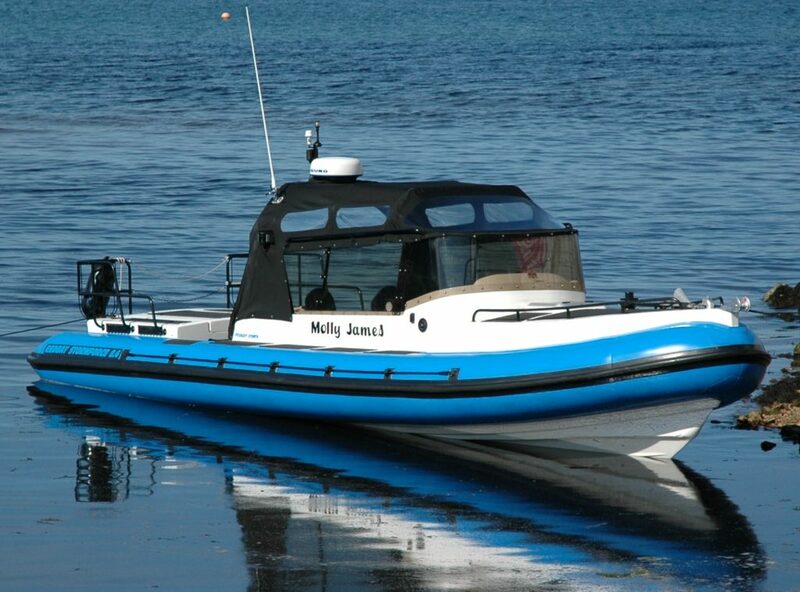 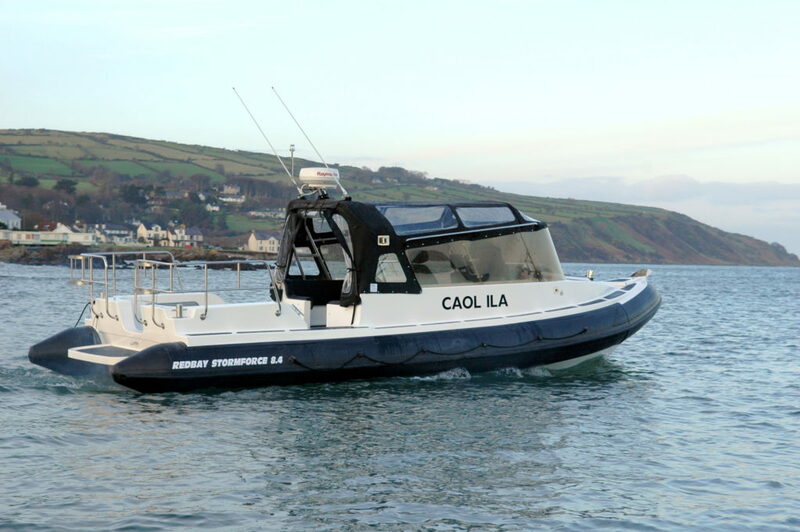 The 8.4 is available in many configurations, one of the most popular being the Wrap Around Console with canopy version, fitted with 6 pod seats. 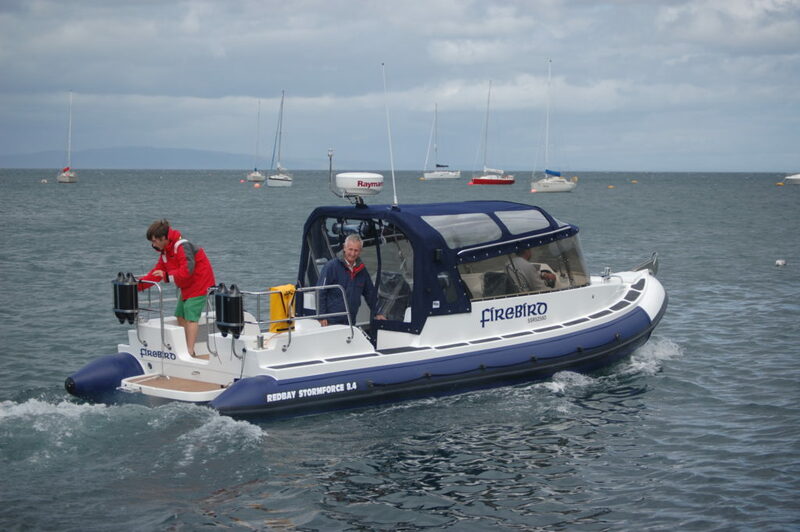 This version is favoured serious cruisers, and is normally fitted with a diesel sterndrive. 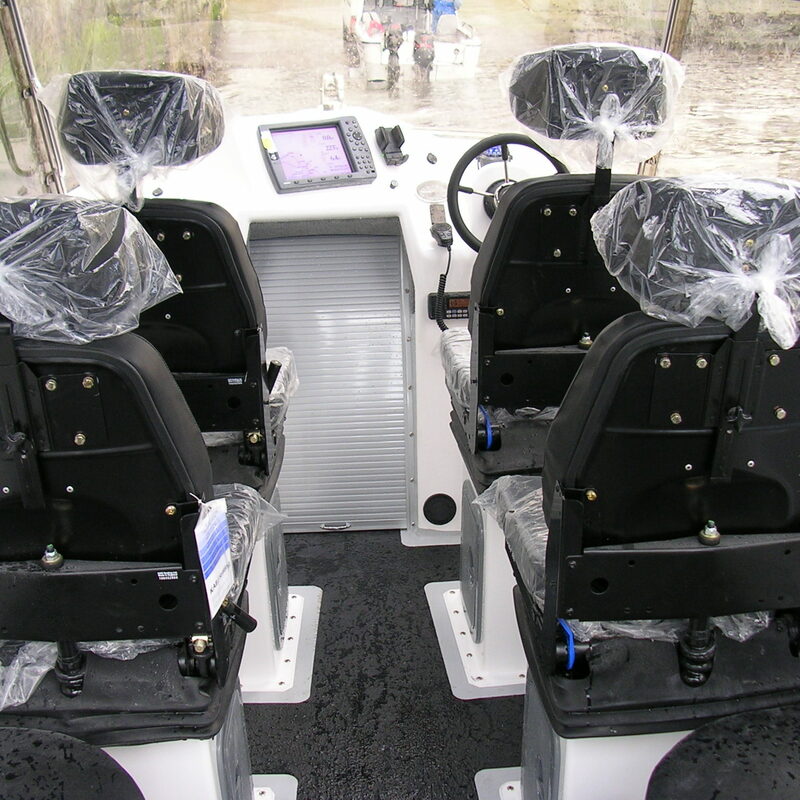 The 8.4 is also available with open consoles, wrap around consoles and cabin versions and can be powered by outboard or sterndrive. 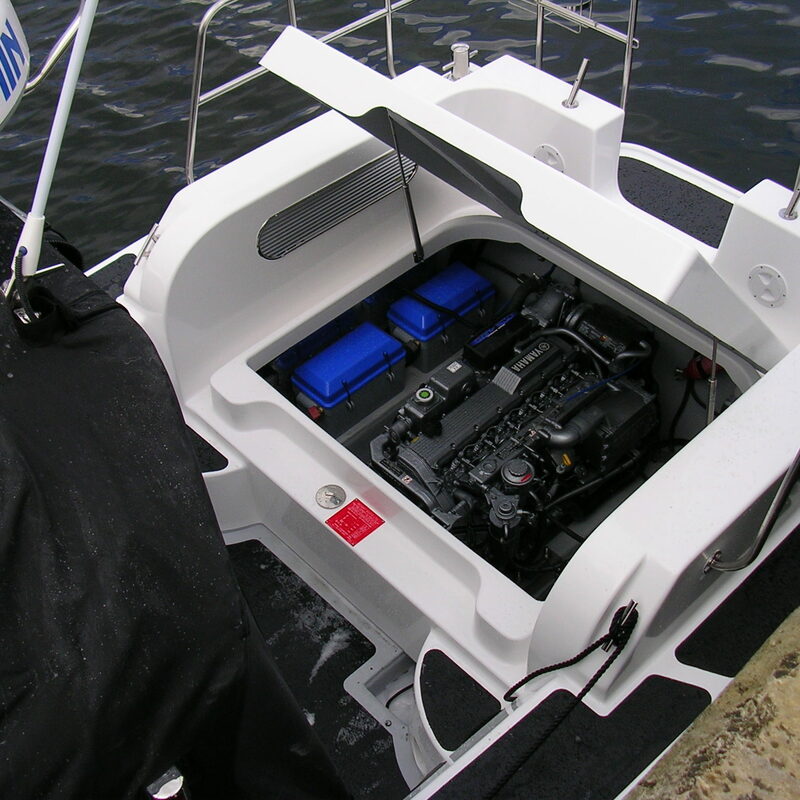 8.4s have also been built with twin waterjet installations. 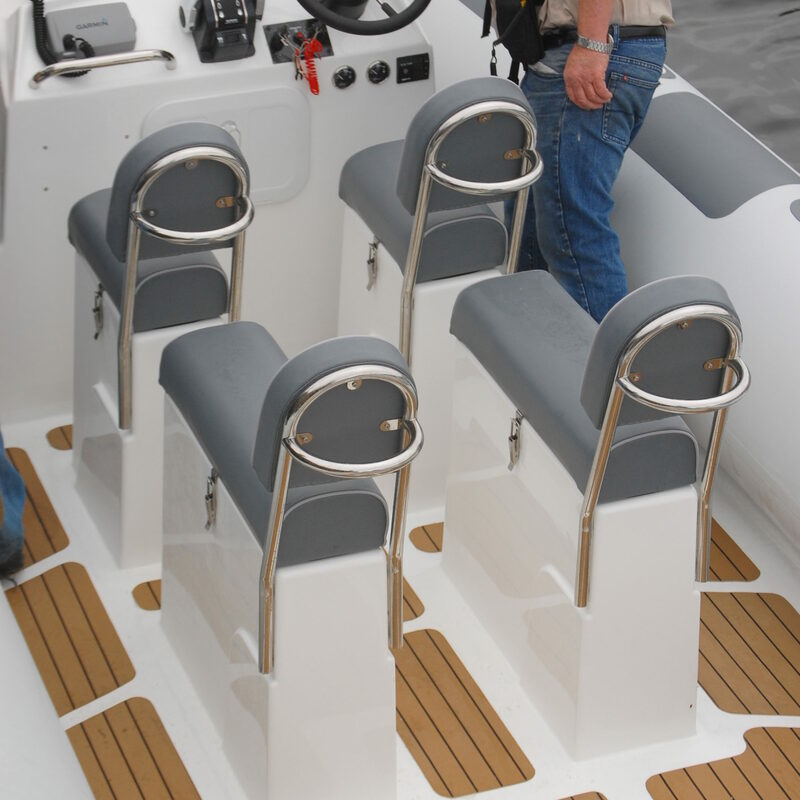 The 8.4 is based on the classic Redbay design of a deep V prismatic hullform, combined with spray rails for additional lift. 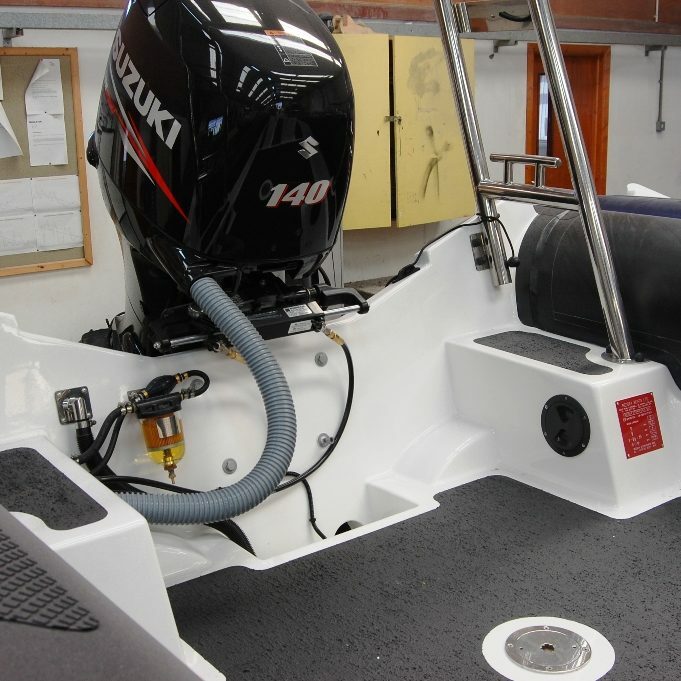 This combination gives exceptional ride and comfort in rough conditions without compromising the performance of the hull. 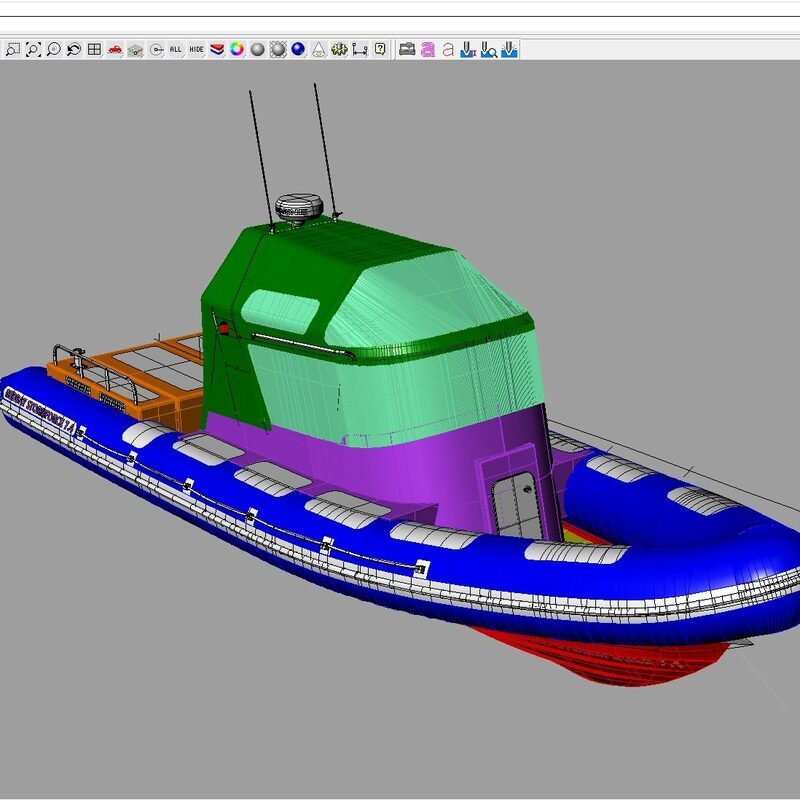 The hull is manufactured from GRP.